Heat oven to 450°F. 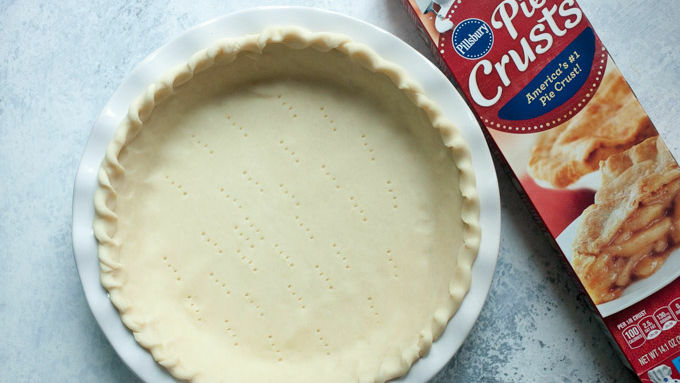 Fit pie crust into a 9-inch pie plate and bake according to package instructions for a one-crust pie. Cool completely, about 30 minutes. Meanwhile, add milk and 7 oz Hershey’s® milk chocolate to a small pot and melt over low heat, stirring occasionally to prevent scalding. Do not simmer. In a medium bowl, whisk together water and cornstarch. Then add sweetened condensed milk, eggs and vanilla. Slowly pour hot melted chocolate into this mixture, whisking constantly. Transfer chocolate mixture back to medium pot and place over low heat. Cook, stirring constantly, for 3-4 minutes until mixture thickens and coats the back of a spoon. 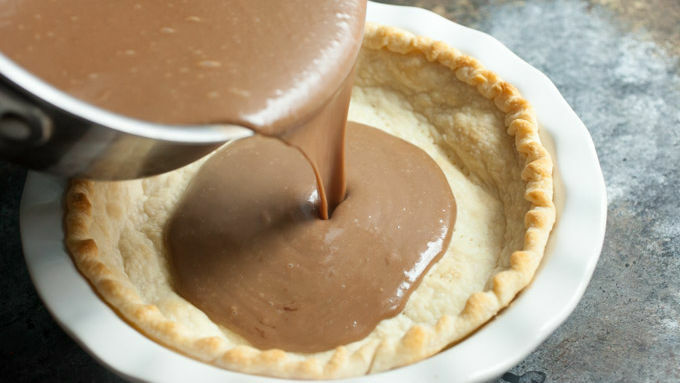 Carefully pour chocolate pie filling into your baked crust and let cool at room temperature for 10 minutes. Transfer pie to the fridge to cool completely (at least 4 hours). Serve topped with whipped cream and extra chocolate bar pieces. The world of pie making can be intimidating. It seems like there is so much that can go wrong for the first-time pie baker. 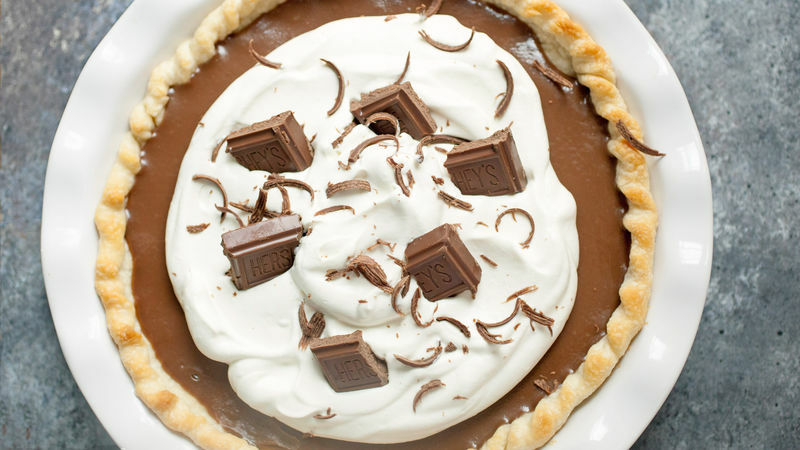 Well, let me introduce you to a surefire pie success story: Icebox Hershey® Bar Pie! It’s so rich and decadent, but has just a few ingredients and very little fuss. 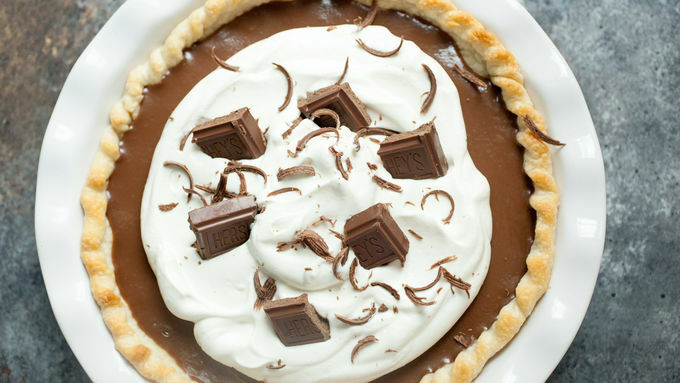 You can use an easy-to-bake Pillsbury™ pie crust and then just fill it with the delicious, rich chocolate filling. Let it sit in the old icebox for a few hours, and boom! Delicious pie, done. The only (only!) tricky part to this recipe is making sure you don’t overheat the filling or you’ll scald the milk and possibly heat up the eggs too fast (causing them to cook). That’s an easy problem to avoid though. 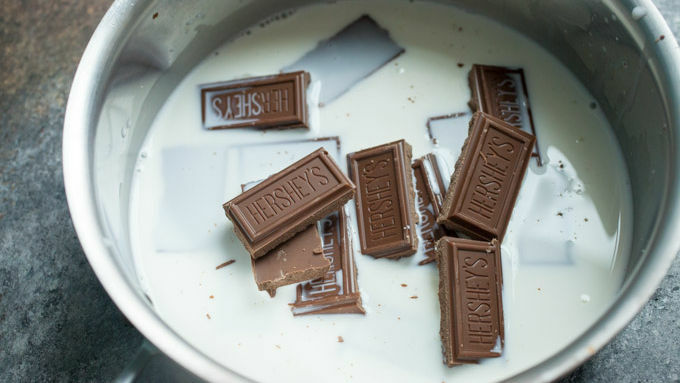 Start by melting your whole milk and Hershey’s® Chocolate over low heat until it’s melted and smooth, but don’t simmer it! Stir it constantly. In a separate bowl, whisk together the cornstarch and water and then add all your other pie ingredients. 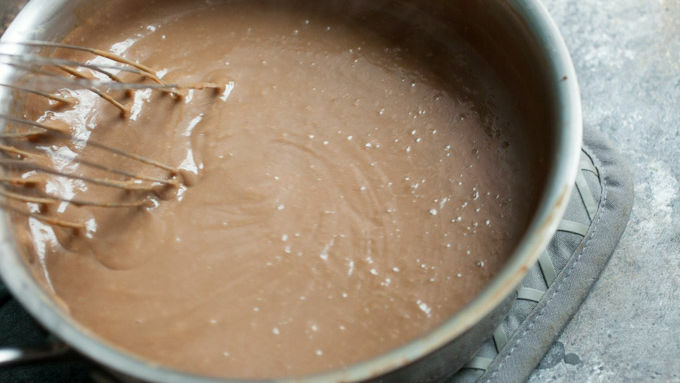 Lastly, whisk your hot chocolate mixture very slowly into the cornstarch and egg mixture. As long as you whisk it slowly, you should be fine. Then return the filling mixture to the pot over low heat and cook it until it thickens and coats the back of a spoon (3-4 minutes). Transfer that to your pre-baked pie shell and let it chill in the fridge for a few hours before serving. It’s a delicious pie and one your guests will love! I like to serve mine with a big topping of whipped cream and some extra chocolate shavings and pieces on top.